With its production of peaches and nectarines of approximately 1,360,000 tonnes, Italy is now a leading European producer in the sector along with Spain. Consequently, a convention on peaches and nectarines will be held on the occasion of the 35th edition of Macfrut, to be held in Rimini from 9 to 11 May, promoted by the Macfrut trade fair and CSO Italy. With its production of peaches and nectarines of approximately 1,360,000 tonnes, Italy is now a leading European producer in the sector along with Spain. Consequently, a convention on peaches and nectarines will be held on the occasion of the 35th edition of Macfrut, to be held in Rimini from 9 to 11 May, promoted by the Macfrut trade fair and CSO Italy. 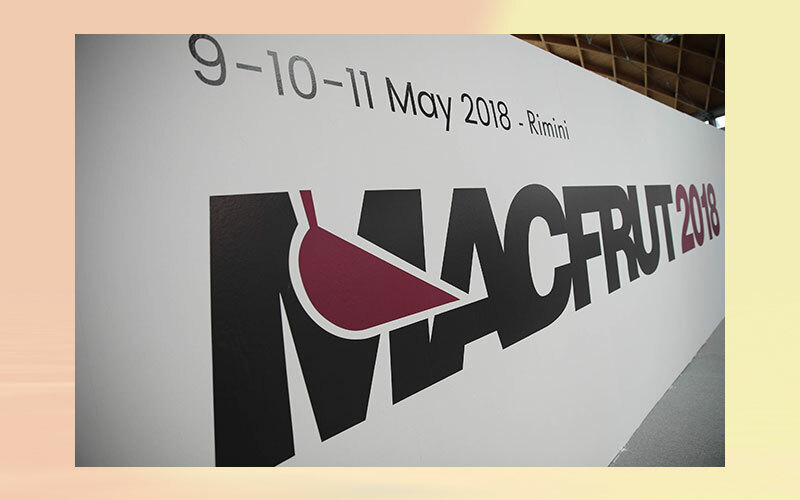 On 9 May, the opening day of Macfrut, the European production forecasts for 2018 will be presented at a meeting with experts in the sector from leading producer countries in Europe – first and foremost Italy, Spain and Greece – and from emerging countries in the Mediterranean basin, with the participation of European large-scale retailers. According to the data collected by CSO Italy, if we take a look at European production from 2000 to the present day, especially in the years marked by major crises in the industry, such as in the 2004-2005 period, it is evident that the production of peaches, clingstone peaches and nectarines in Europe had reached 4 million tonnes. Later, the European supply averaged around 3.6 million tonnes, with lows of 3.4 million tonnes, such as in 2016. As far as the Italian supply is concerned, the production of peaches for fresh consumption was + 10 % compared to 2016, at approximately 590,000 tonnes, whereas clingstone peaches showed + 24 % at almost 85,000 tonnes and +5 % was recorded for nectarines at about 690,000 tonnes. Following the trend of the other major producing countries in Europe, production in Spain increased by 9 %, France showed + 3 %, whereas Greece recorded a high percentage increase of + 53 % compared to its particularly poor production in 2016. In all major European countries, the expected supply for 2017 exceeded the previous year’s production by 16 %. This year, for the first time since 2007, the production of peaches, nectarines and clingstone peaches reached 3.9 million tonnes, of which peaches and nectarines alone were equal to 3 million tonnes against 2.9 million tonnes in previous years. Spain played a major role in this rise: after producing a maximum capacity of about 1.2 million tonnes, it is now capable of producing 1.5 million tonnes. In fact, this significant increase is continuing, especially for doughnut peaches, which account for 50 % of total production in Spain. By contrast, in Italy the supply has dropped from 1.7 million tonnes to about 1.3 million tonnes due to the widespread removal of plants over the years, mainly in northern regions. This is the issue at the heart of the recent peach crisis that has affected all of Europe. Along with the increase in production in Europe, which leads to an imbalance between supply and demand, in the years when production is approaching its full potential, other factors are contributing to the crisis in this market: major unbundling of supply, high production costs, new competitors entering the market, competitive new products on the market and the ongoing Russian embargo. Last but not least, the economic problems linked to climate change, which for products such as peaches and nectarines – not intended to have a long shelf life – can significantly affect market trends. All these themes will be discussed at the convention to be held at the Macfrut event, which will focus on current production trends in 2018. The availability of forecast data prior to harvesting is essential to peach production so that any necessary corrective measures can then be implemented.